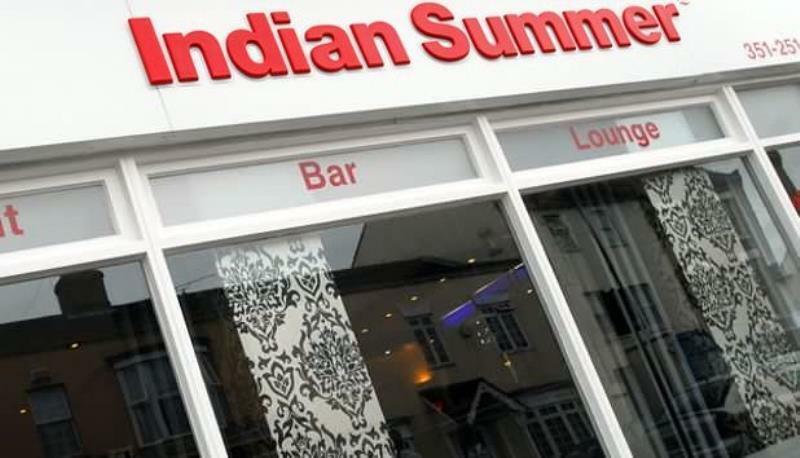 Located on Tavistock Street in the busy town of Bedford, Indian Summer is a popular restaurant and lounge bar with a reputation for great food and tasty cocktails. Featuring a contemporary interior in a palette of cream and red, tables are well-laid with crisp napery set on modern wood flooring. The kitchen serves authentic Indian cuisine using carefully selected ingredients, fresh herbs and spices for its dishes. The menu covers a lot of familiar ground but there are also Chef's specialities in the shape of hot chicken chilli, strips of baby chicken cooked with hot Bangladeshi chillies or Makhani or Korai, Bangladeshi fresh water white fish fillet cooked in a mild Makhani sauce or a medium Korai sauce. To finish there are both Indian and International desserts to choose from such as pistachio flavoured Indian ice cream or fantastica, caramel and vanilla ice cream, with chocolate balls, toffee pieces and caramel sauce. Knowledgeable staff, a pleasant buzz and a concise wine list makes for an enjoyable dining experience.